- Descrizione: Obsessive Compulsive Cosmetics present the Cosmetic Colour Pencil a long-wearing, versatile formula that can be used on the lips, eyes and body for a pop of colour. 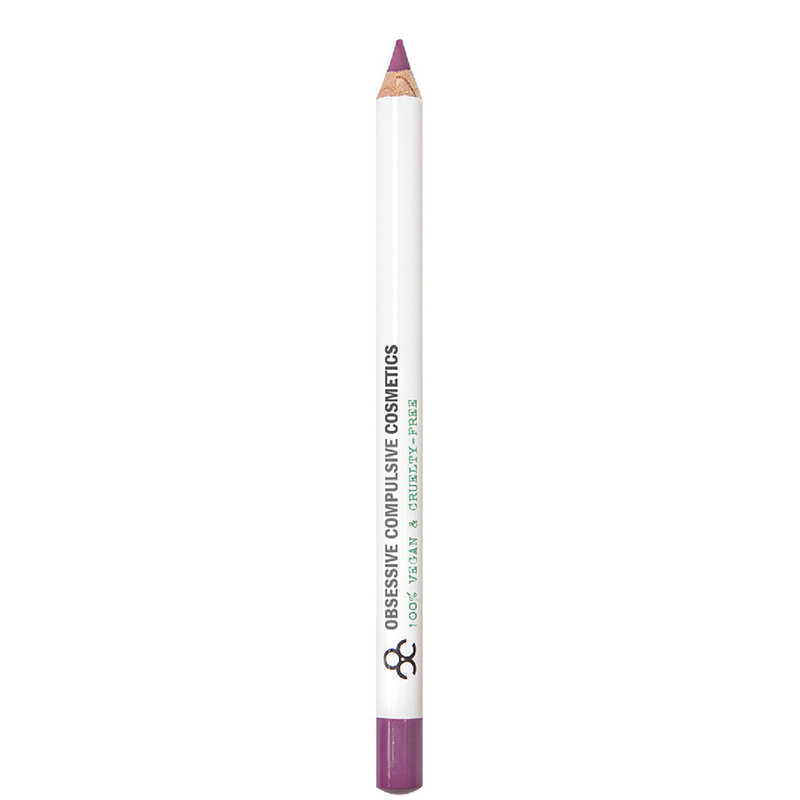 Features a precision tip for effortless, mistake-free application and definition. Complete with a lid. 100% Vegan. Cruelty-free. 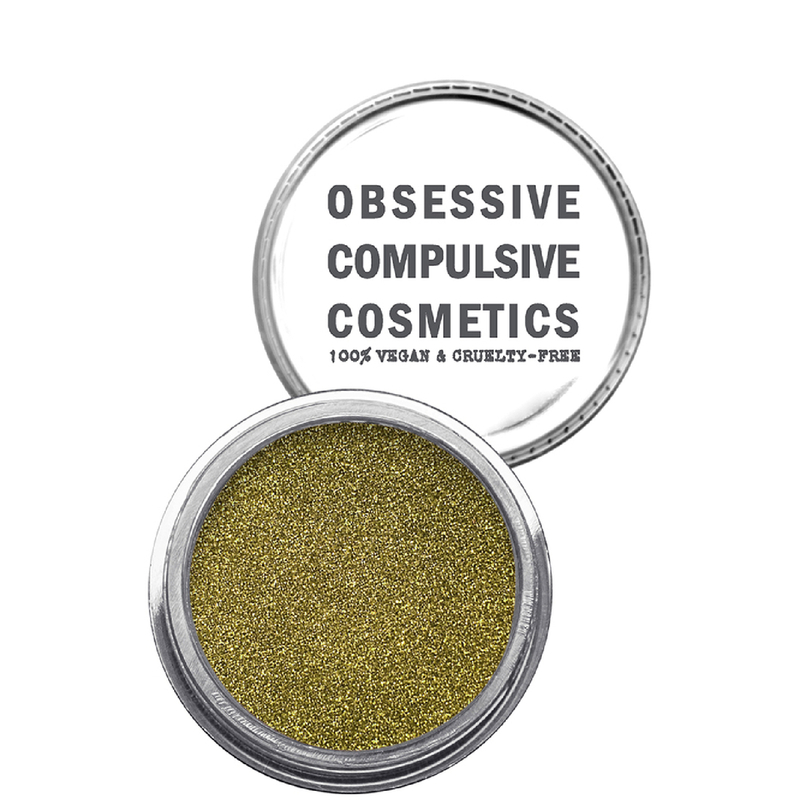 - Descrizione: Obsessive Compulsive Cosmetics present the Cosmetic Glitter a versatile, micronised metallic glitter for the face, hair, body and nails. Easy to apply, the light-diffusing glitter can be used to enhance your hair style, sprinkled over your favourite nail polish for added sparkle, or swirled onto skin for a pop of colour. 100% Vegan. Cruelty-free. 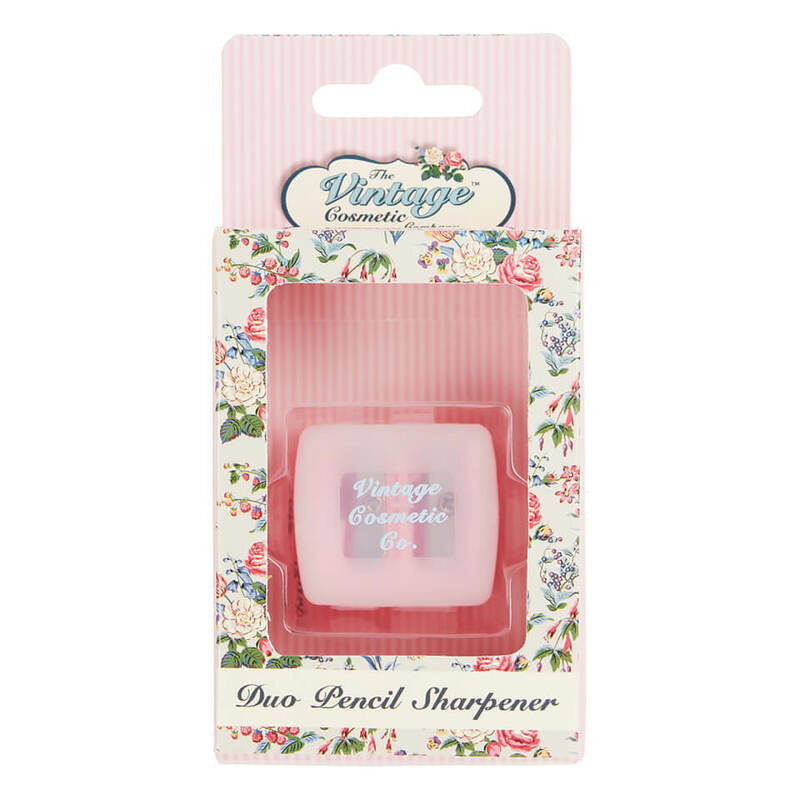 - Descrizione: Pink polka dot Duo Pencil Sharpener from The Vintage Cosmetic Company. Featuring two different sized sharpening holes and a convenient lid, you can keep your pencils in tip-top condition for precise, mistake-free application every time. Mess-free, no-spill design. - Descrizione: A must-have addition to your manicure. 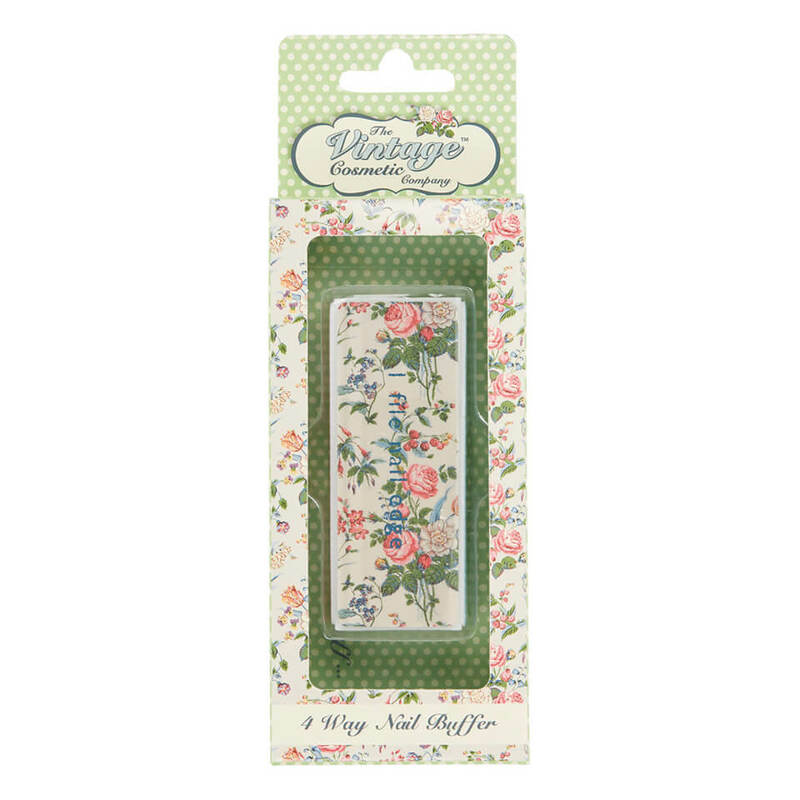 The Vintage Cosmetic Company 4 Way Nail Buffer features four different grains to deliver multiple benefits it files and shapes, removes ridges, smooths the nail edges, and polishes the surface for a glossy, natural finish. Achieve salon-worthy results every time. 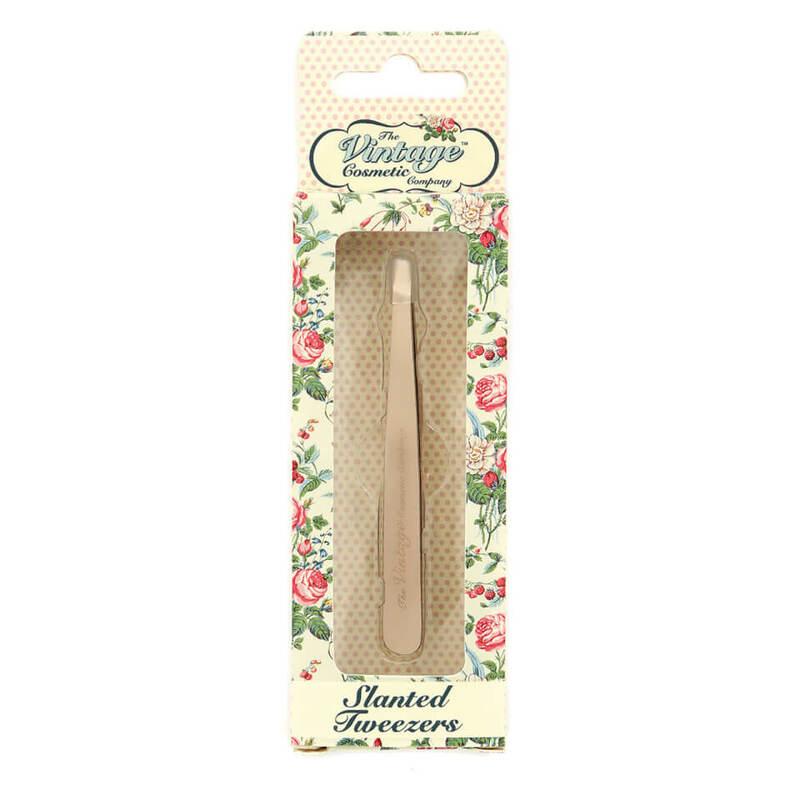 - Descrizione: Crafted from high-quality stainless steel, The Vintage Cosmetic Company Rose Gold Slanted Tweezers allow precise and effortless brow shaping. 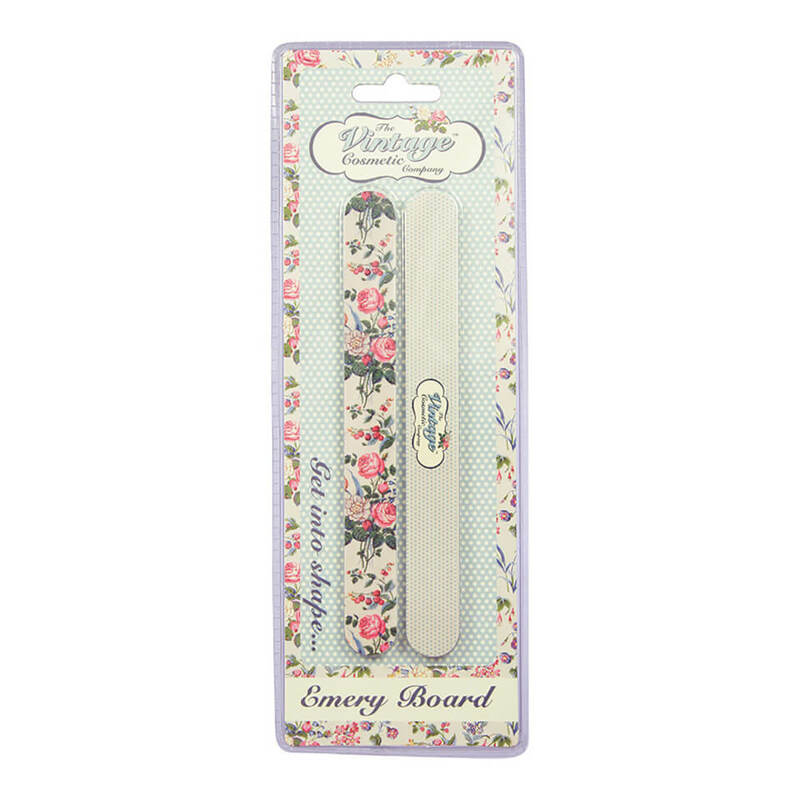 Expertly plucking stubborn strays, the beauty tool closes evenly and firmly for advanced pulling power. 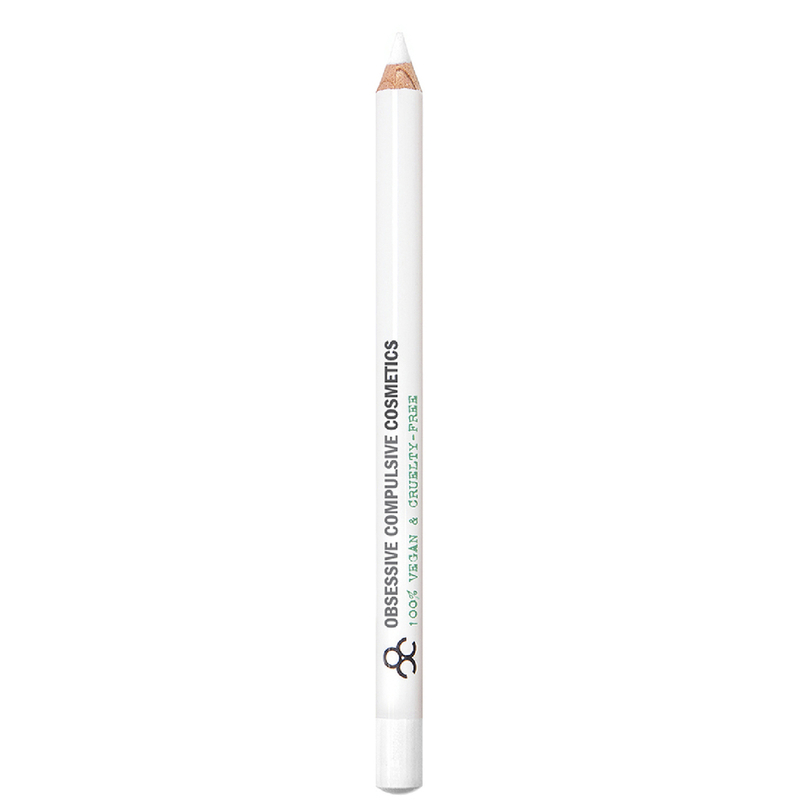 Expect perfectly preened, sculpted eyebrows every time. - Descrizione: Preen and perfect with The Vintage Cosmetic Company Fingernail Clippers in Rose Gold. Crafted from high quality stainless steel, the must-have manicure tool is safe and easy to use it preps all nail types for salon-worthy results. 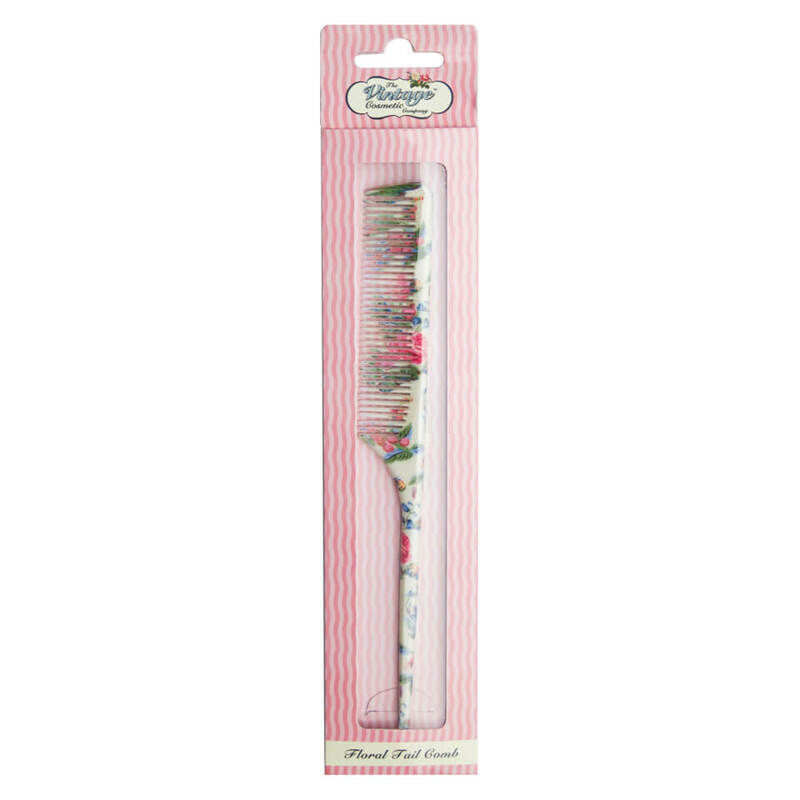 - Descrizione: Add body and bounce to your locks with The Vintage Cosmetic Company Floral Vent Hair Brush a must-have tool in the brand's signature floral print. Perfect for creating volume in flat, lifeless styles, the vented design allows warm airflow through the brush for increased lift. 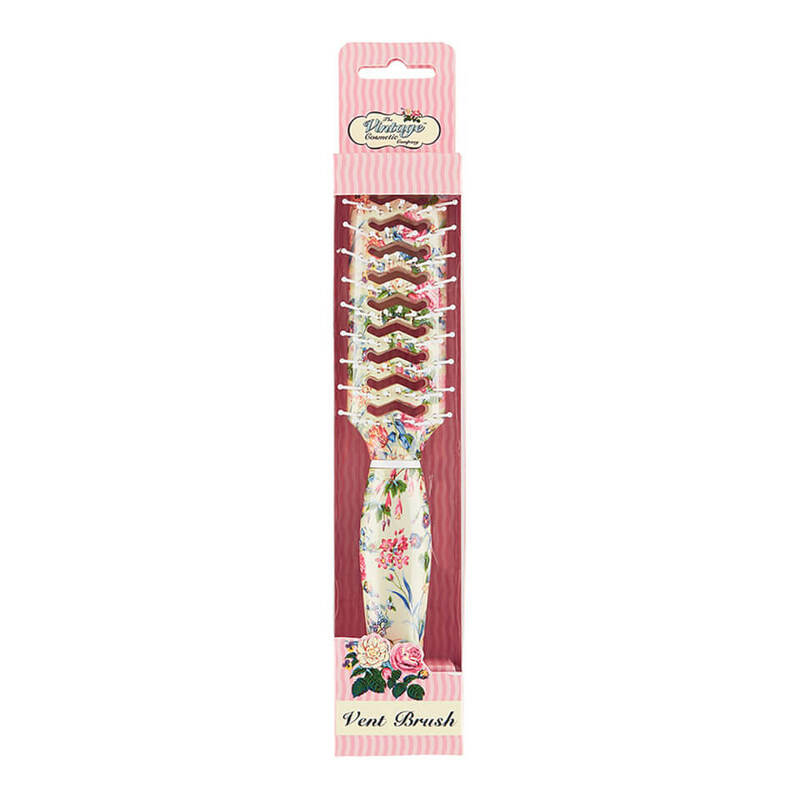 - Descrizione: The Vintage Cosmetic Company Floral Tail Comb creates lift and volume for effortless backcombing. Use the fine-toothed comb to add definition and height, and the slender pin tail to section hair for precision styling. Finished in the brand's signature floral print. 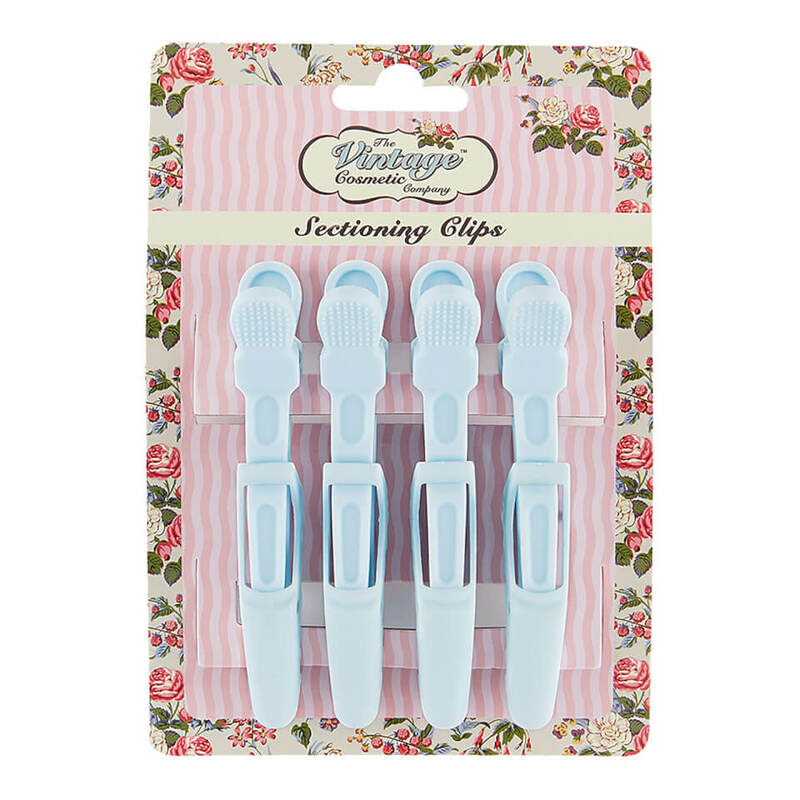 - Descrizione: Achieve salon-worthy results with The Vintage Cosmetic Company 4 Piece Sectioning Clips. 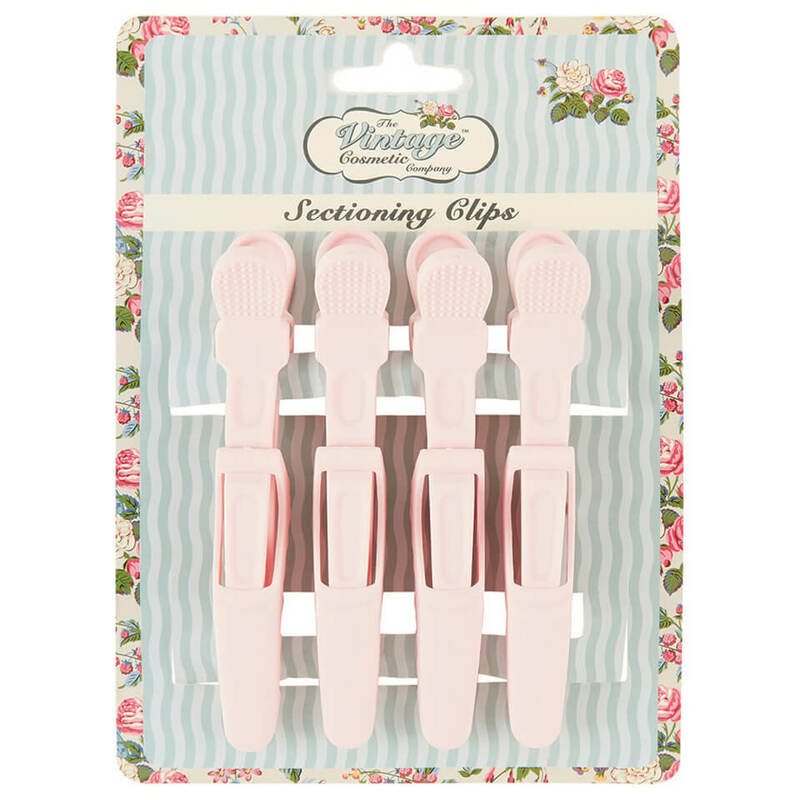 Suitable for all hair types, the clips hold hair firmly in place without slipping or snagging for easier blow-drying and styling. Comfortable grip. 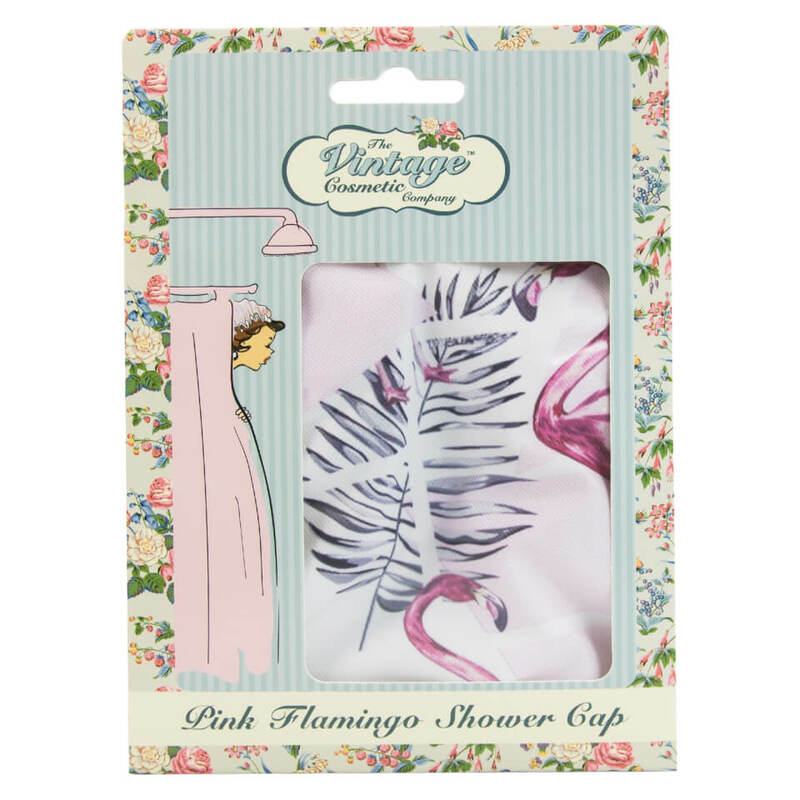 - Descrizione: Prolong and protect your salon-worthy style with The Vintage Cosmetic Company Shower Cap. The waterproof design features an elasticated trim for comfortable wear, and showcases an all-over floral pattern with a polka pot lining. 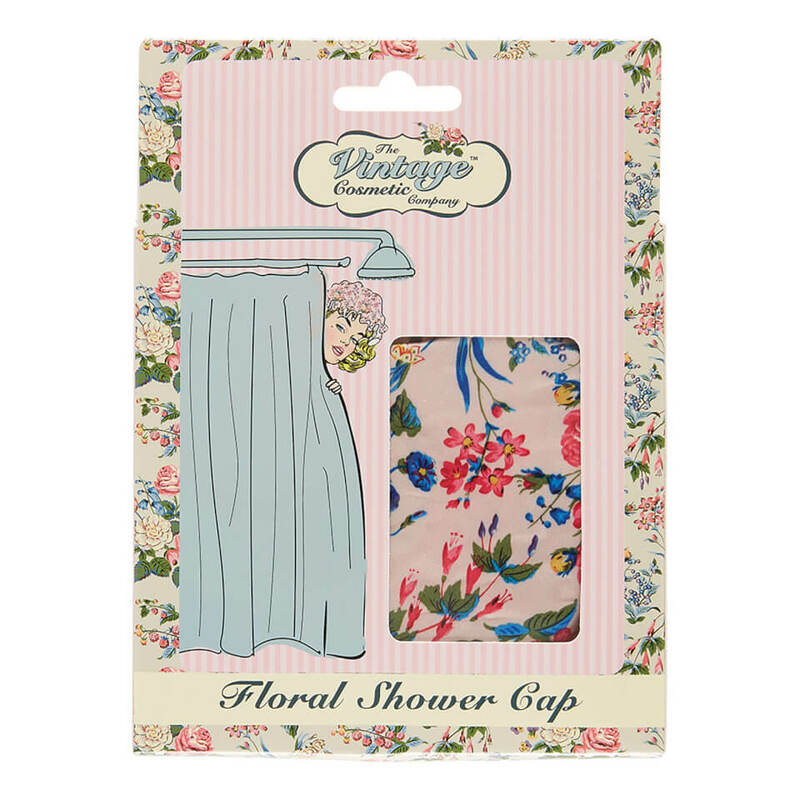 Perfect for keeping hair tucked away during bathing and showering. - Descrizione: Prolong and protect your salon-worthy style with The Vintage Cosmetic Company Shower Cap. The waterproof design features an elasticated trim for comfortable wear, and showcases an all-over flamingo print with a satin finish. Perfect for keeping hair tucked away during bathing and showering. 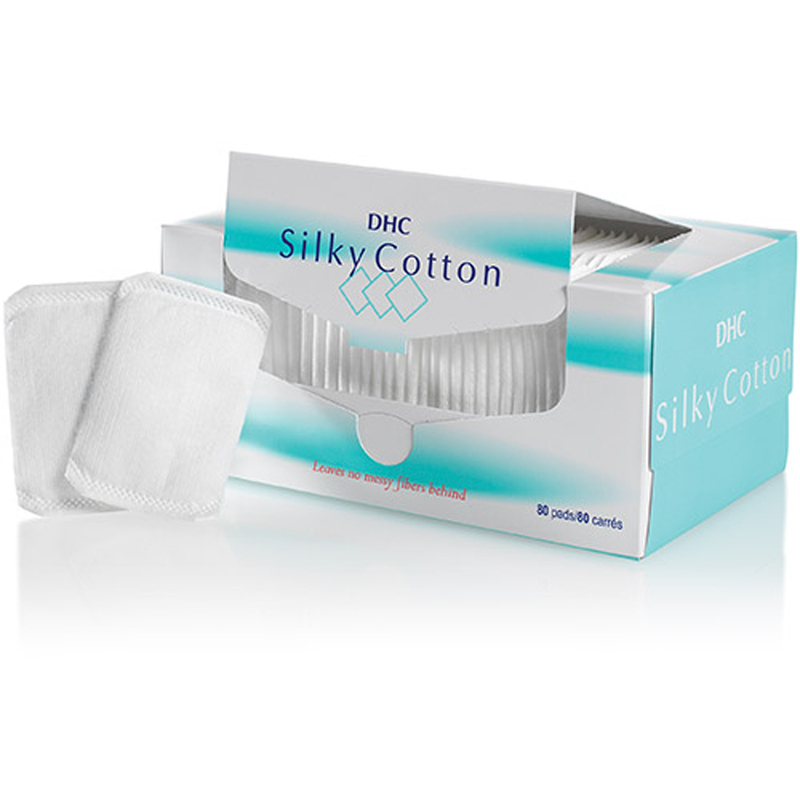 - Descrizione: DHC's Silky Cotton Cosmetic Pads are perfect for applying toner and removing eye makeup. Formulated from cotton wrapped in silk, the soft beauty pads glide effortlessly across the face and leave no messy fibres behind. - K.N. 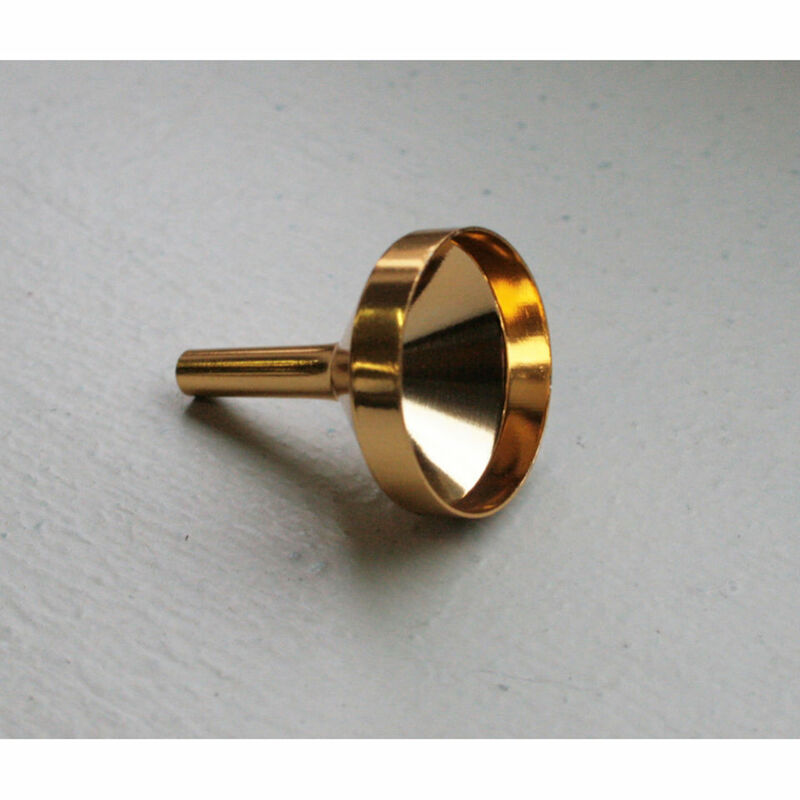 - Descrizione: Apply your nail caviar with ease thanks to the Layla Cosmetics Funnel For Caviar Effect. It allows you to distribute the glass beads neatly and evenly over your nails. - L.M. 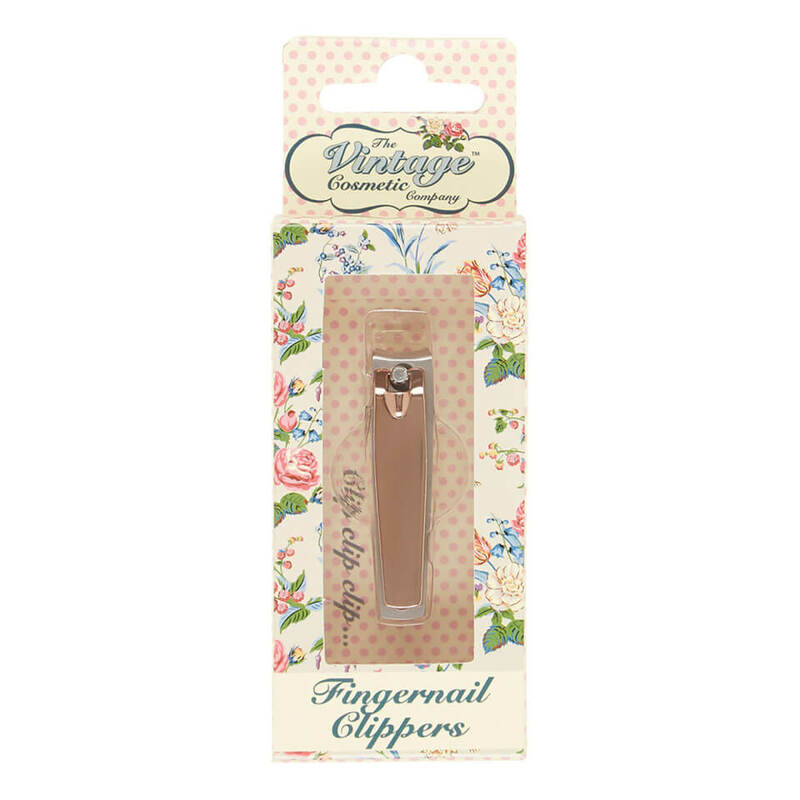 - Descrizione: Prep your nails for the perfect manicure with The Vintage Cosmetics Company Fingernail Clippers. 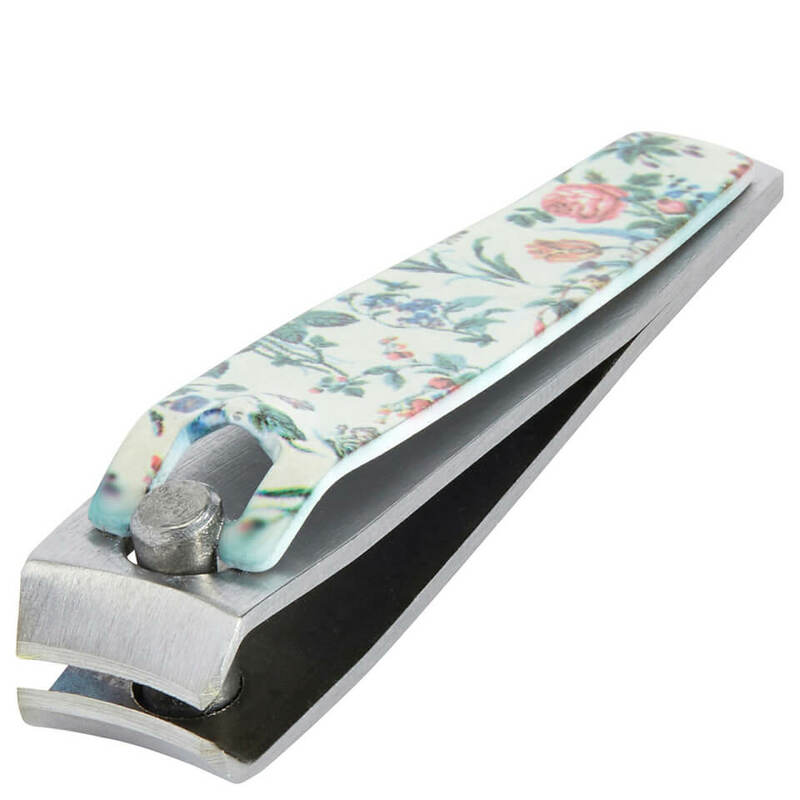 Made from durable stainless steel with a floral design, the clippers are suitable for all nail types and easy to use. - Descrizione: The New CID Cosmetics Lip Brush has been thoughtfully designed to be completely hygienic as it has an automatic opening mechanism and is perfect for when using any of the lipsticks from the gorgeous i-pout range. - Descrizione: The angled New CID Cosmetics Blusher Brush is perfect for expert application and cheek contouring. The super soft fibres form a rounded edge at an angle, giving accurate application every time! 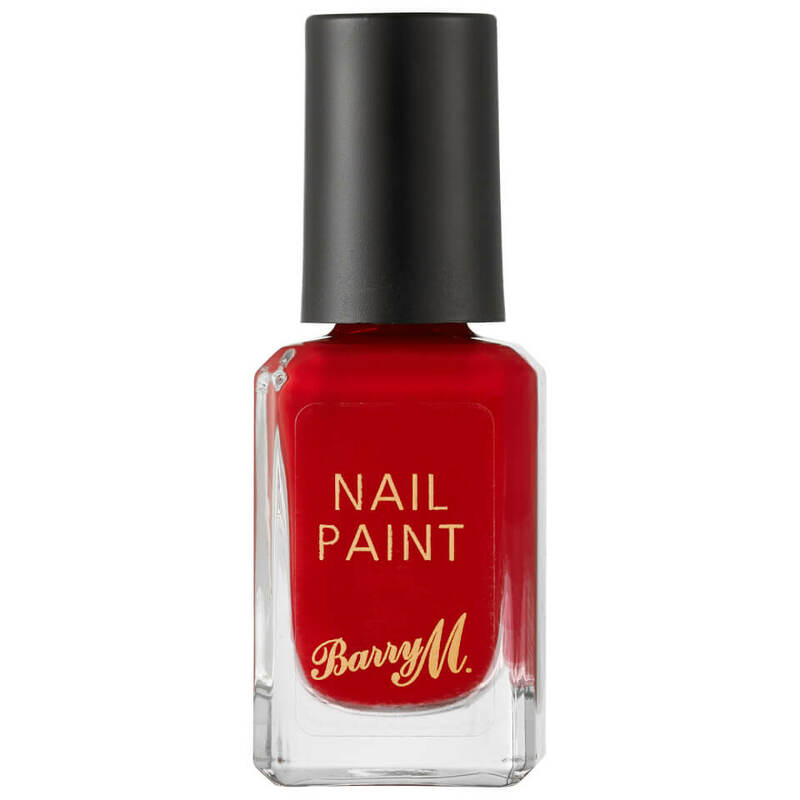 - Descrizione: Douse your digits in vibrant colour with the Classic Nail Paint from Britain?s leading colour cosmetics brand, Barry M Cosmetics. 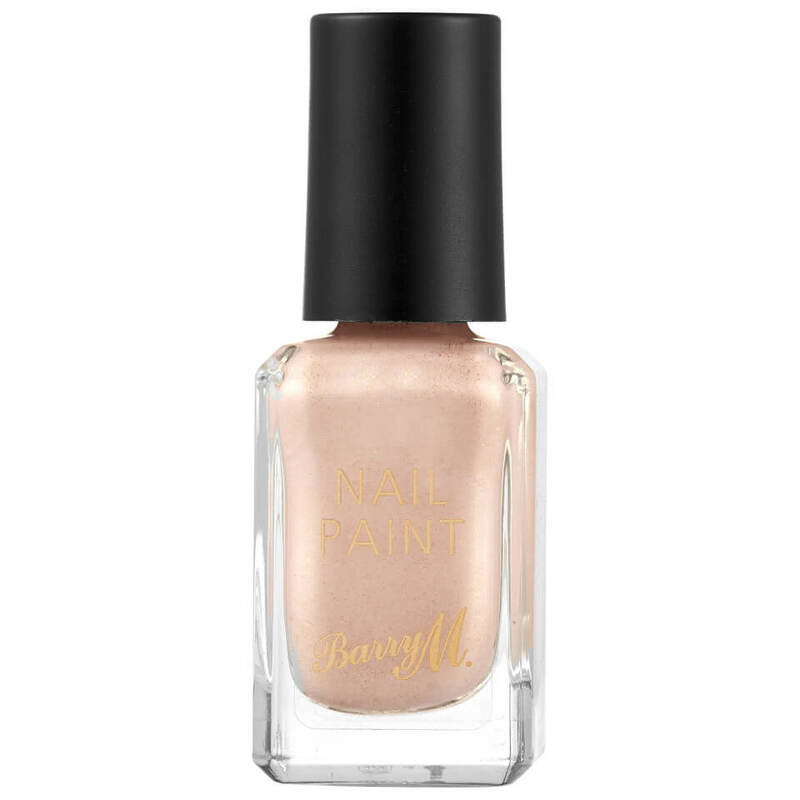 Arriving in an array of gorgeous shades, the award-winning nail polish lays down long-lasting, chip-resistant colour that dries quickly on both natural and acrylic nails. 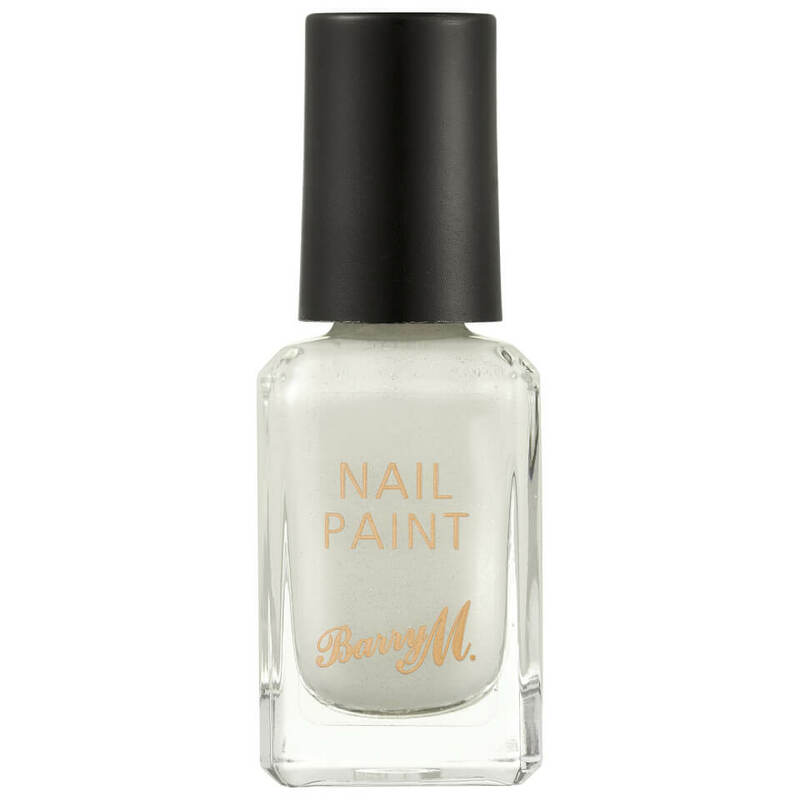 Expect a salon-worthy mani in minutes. Vegan. Cruelty-free. - Descrizione: The New CID Cosmetics Lip Brush has been thoughtfully designed to be completely hygienic as it has an automatic opening mechanism and is perfect for when using any of the lipsticks from the gorgeous i-pout range. Proving to be the staple of your make-up accessories the New CID Cosmetics Lip Brush helps you guide on your lipstick to pucker perfection! No make-up bag should be without it!